Convenient bookings anytime you like! Online booking really is so very easy. Book in, choose a time that works for you and we’ll be on our way whenever you want us to come over! Book fast, get moving fast! Booking online isn’t just very convenient. It’s very efficient!You can manage your times easily! Book for a time that suits you! 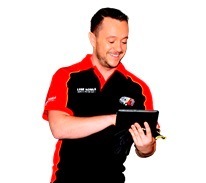 Lube Mobile is your local service, all around Australia! Lube Mobile really is Australia’s own local car service! From Brisbane to Perth you can always get us anytime you like! You can always get Lube Mobile! You can get Lube Mobile all around Australia! 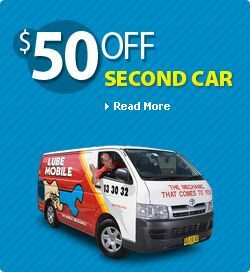 Lube Mobile is Australia’s car service! Wherever you go from Brisbane to Perth, you can depend on us! We’ll be there whenever you need a hand, wherever you are! Just book for the time you want, and we’ll come to you! No fuss, just book any time that’s convenient for you, and leave the rest to us! You can get expert quality car service for any job when you want it! In a hurry? No problem, just book in and we’ll get right over there ASAP! Routine service? Simple! We’ll come to you! Give us a time that’s good for you! Got car system problems? Best option is to get those things done and avoid any big costs down the track. We can do any system job you need done! Tired of quotes that tell you nothing and equally unimpressive service? Let our mobile mechanics show you how real professionals do a car service! Hang on to your money! Just getting a good car service will improve your car’s performance, give you better on road safety and protect your cash from costs!